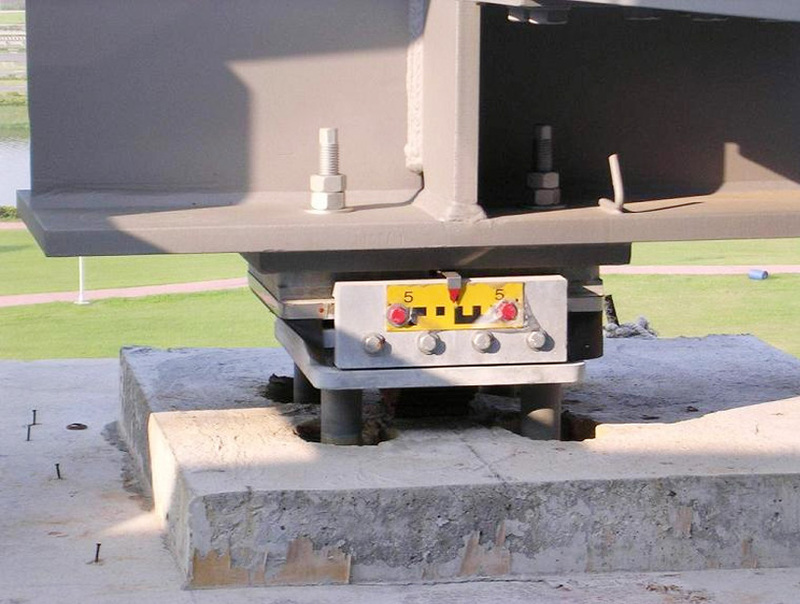 Our sliding bearings applying "PILAFLON" are used widely in civil and building fields. These applications are being expanded more and more to various products, such as connecting corridors, roof beams, bridges and seismicary isolated building, piles or the like, not only reducing damage to buildings that is caused by an earthquake, etc. but enabling economical design. 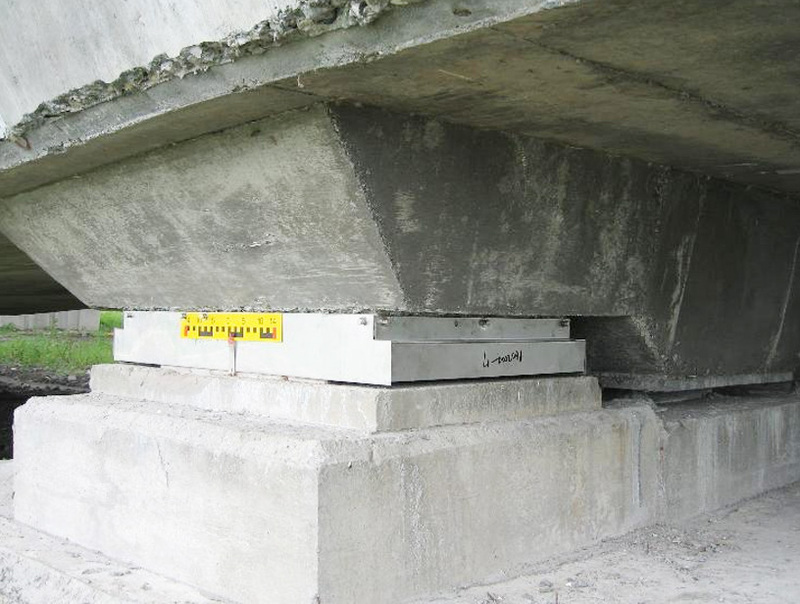 To provide the seismic isolating building with furthermore high seismic isolation performance, Nippon Pillar has developed the seismically isolated sliding bearing to which the fluorine resin of low-friction characteristic is applied. 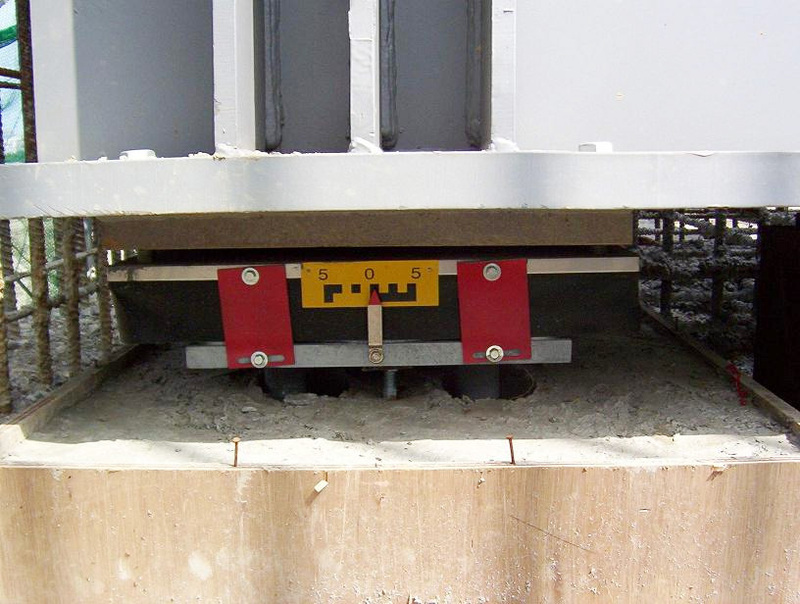 Installing this seismically isolated sliding bearing at the underside of relatively lightweight structure such as attached facility (elevator, staircase, surrounding short-story) will allow the seismic isolation system to be furthermore effective. The sliding bearing of this type makes it possible to readily assure the seismic isolation for a wide range of applications from short-story building to high-story building, factory facility, personal housing, etc. The sliding bearing of this type makes it possible to solve various problems such as follow-up to drastic transformation, prolonged cycle, etc. Since the sliding bearing of this type is of simplified construction, it can assure the simplified maintenance control. Since the sliding bearing of this type has extremely low height, it is best suitable to the seismic isolation layer such as underside of elevator, underside of elevator staircase, retrofit, etc. where the space(height) is limited. 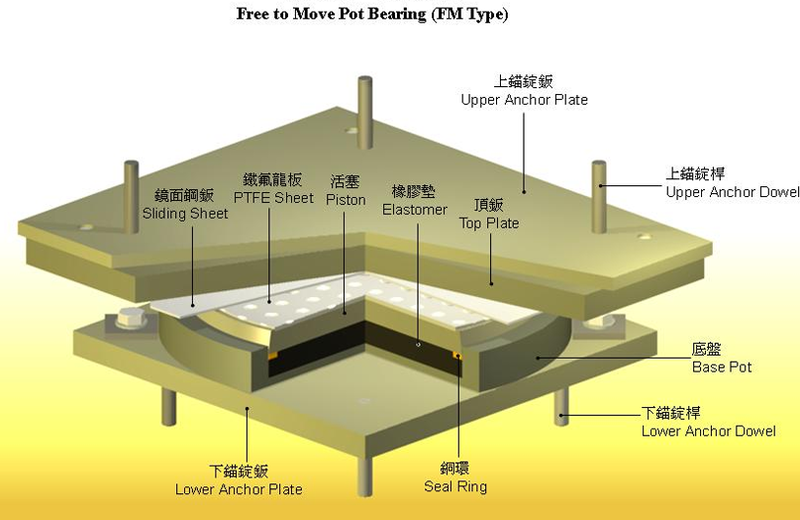 There are three types of Pot Bearing, fixed, guided and free movable. 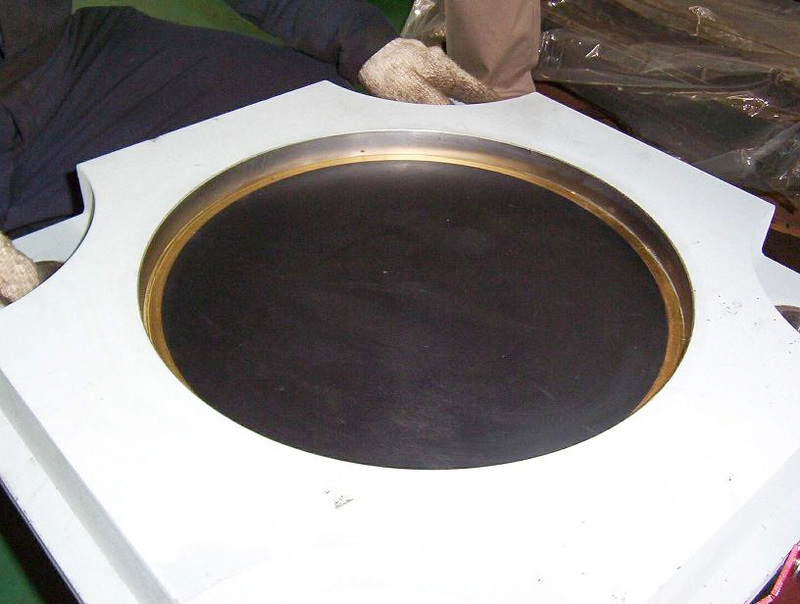 Rubber pad which is the key component of Pot Bearing is completely enclosed in a steel pot. Under high pressure the pad loses it is stiffness and allows tilting movement around any horizontal axis due to its capacity to deform. Protected from squeezed out from base pot by seal rings the rubber pad can take huge loads because of it is non-compression. PTFE which is stable and has a low friction factor (≦0.03) form a excellent sliding surface with stainless steel for movable bearing. Each bearing has a dust-protecting device to protect rubber pad and PTFE. Simulate roller and hinge perfectly, and low rotation stiffness. Lightweight and take extreme vertical and horizontal load. Exchanging can be done within uplifting the bridge 10mm. Easy exchanging, observation and maintenance. Large horizontal movement with the low friction factor of PTFE. 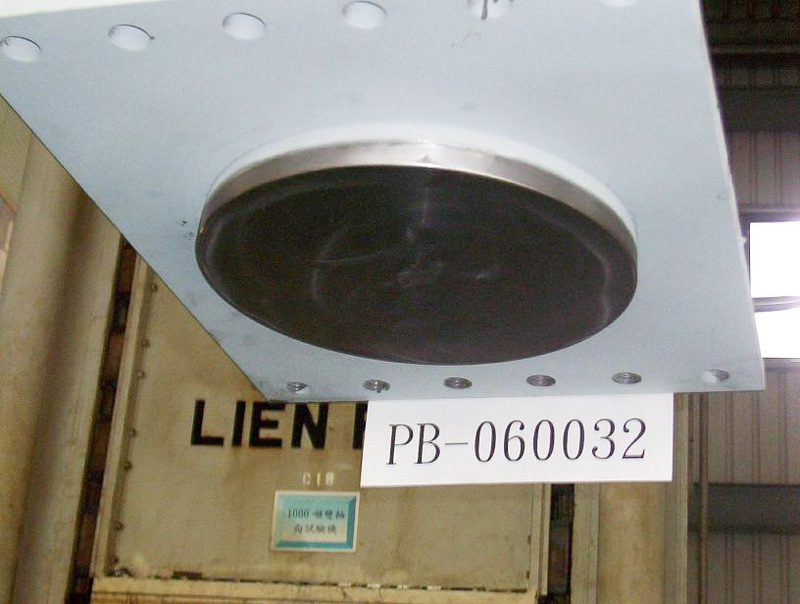 Free Movable Bearing can only accommodate vertical load. it doesn’t bear any horizontal load and it can move free. s suffer uplift forces, anti-uplift Pot Bearing can be applied. 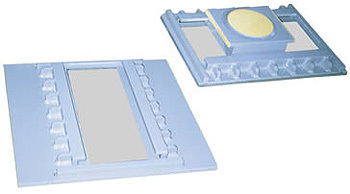 Hold down devices is used to prevent Bearings from separation in those cases. When the bridge using for Incremental Launching Method or Advanced Shoring Bridge Construction, Pot Bearing can also apply as wedge plate with proper slope. The vibration, displacement or deflection may occur at the expansion point such as corridor, roof, etc. of building structure due to earthquake, wind or temperature change. 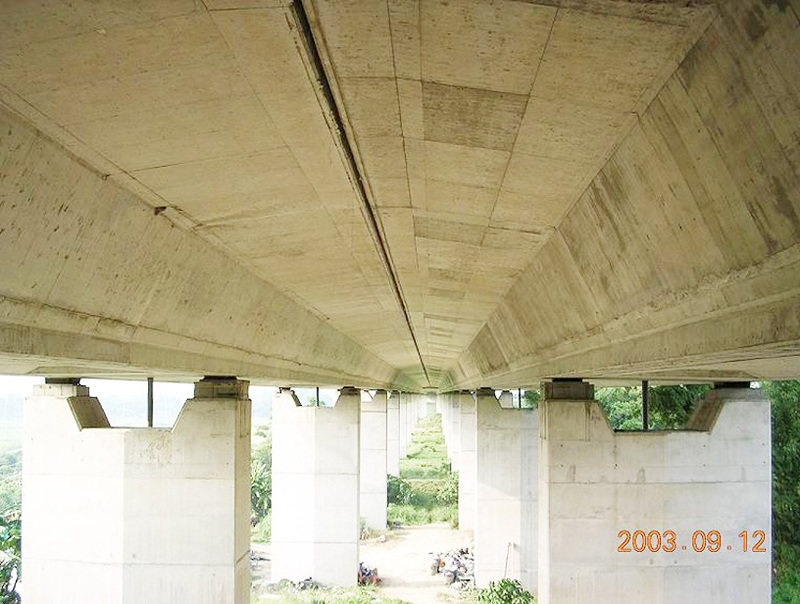 The Pillar Uniton bearing is a bearing provided with "Roller function" and "Pin function" in combination, which works to absorb such displacement and deflection, to enhance the safety of structure. It has been adopted a lot to diversified market including building or civil work. 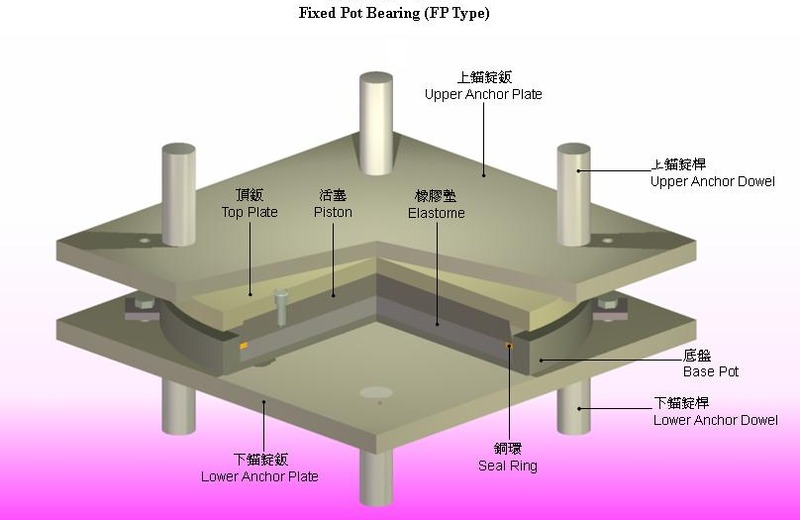 Since the Pillar UniTon bearing uses fluorine plastic having high self-lubricity on its sliding surface, it assures the roller(sliding) function at low friction. 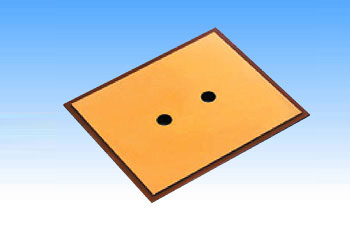 The sealed elastomer(chloroprene rubber) assures the pin function(absorption of deflection and angle) freely in any direction. It is possible to equip the safety stopper of each type(prevention of excessive movement, floating) within bearing. Since the Pillar Uniton bearing is designed compactly, it can be installed easily. The Pillar Uniton bearing is available in rich assortment, and is compatible even to special design requirement. The insulating bolt is a functional part indispensable to insulating pipe flange used for positive prevention of gas/oil/city water pipeline from electrical corrosion as well as electrical corrosion generated due to electrical potential difference between dissimilar metals. 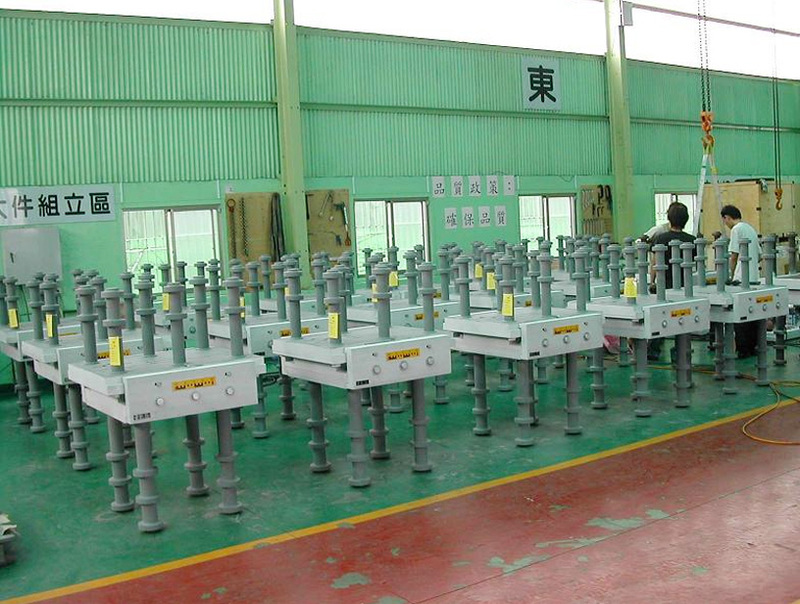 Since the hard PILAFLON is lined firmly on the PILLAR’s insulating bolt body, it can assure the excellent insulation performance and stabilized corrosion/weather resisting performance. Each piping used for city water, gas, plant, large oil tanker, etc. may be expanded/shrunk due to fluid temperature, outside air temperature change, etc. 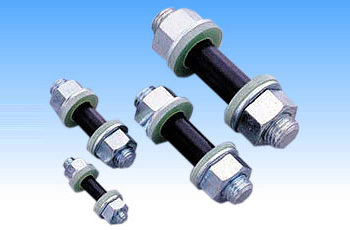 For conventional U-bolt & support material, the undesirable phenomena (occurrence of deformation or distortion in frame, occurrence of crack in pipe) occurred, or the electrical corrosion, fire, etc. occurred, which brought about problems. The PILAFLON U-bolt & pad function to prevent such problems previously. The self-lubricating type PILAFLON material having low friction coefficient serves to expand/shrink the piping smoothly. 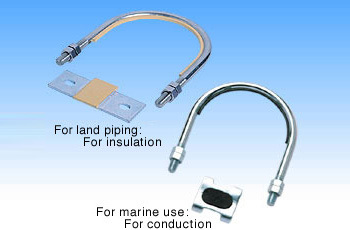 The PILAFLON U-bolt & pad for marine use is electrically conductive for prevention of fire. The PILLAR FLUOROGOLD is made by joining the PILAFLON(PTFE) firmly to the metal plate. 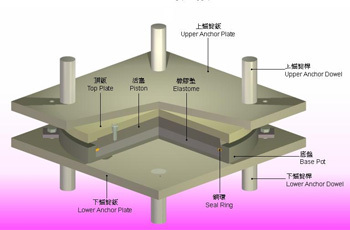 The PILLAR FLUOROGOLD serves to absorb the displacement of building caused due to earthquake, wind, temperature change, etc. by sliding the sliding bearing. 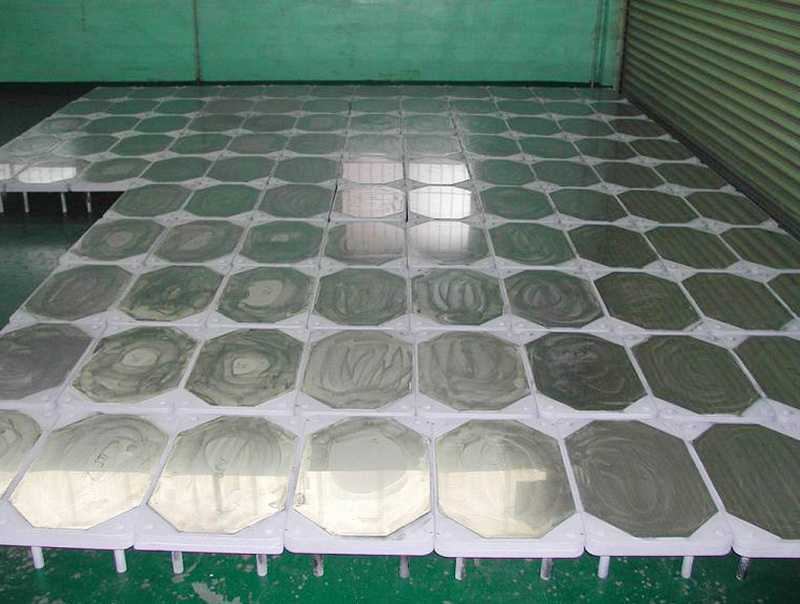 It has been applied to the diversified structures such as connecting corridor, roof, bridge, piping, boiler, electric dust collector, etc. The PILAFLON(PTFE) of FLUOROGOLD is mixed with the special filling material, to provide the function to its maximum level as a sliding bearing. 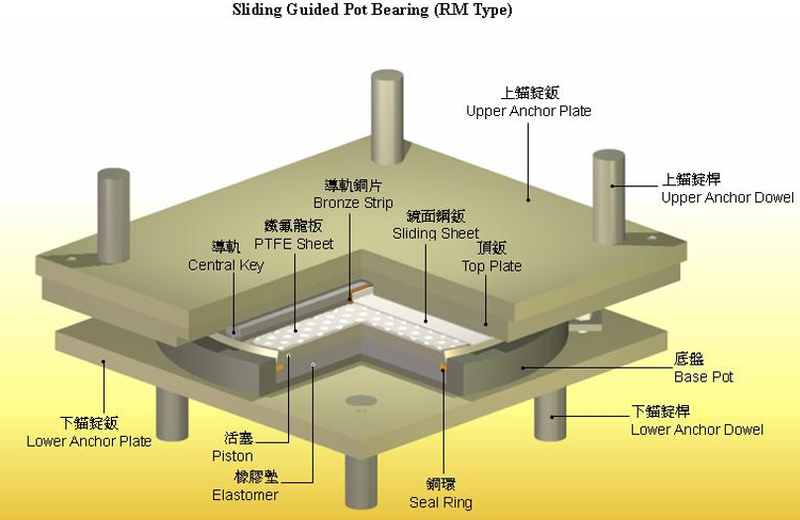 ince the sliding bearing plate is self-lubricated, it can be used for a long time without maintenance. Since the sliding bearing plate is extremely compact or has the standard thickness of 5.6mm, it can be designed easily.